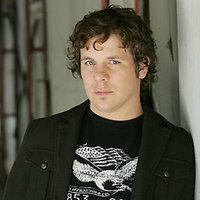 Jon Peter Lewis was an American Idol finalist on the 2004 Season 3 show. Lewis is from Rexburg, Idaho, and is a member of The Church of Jesus Christ of Latter-day Saints. He was probably the most relaxed of the season's contestants, sleeping on the sidelines as he waited to perform for his first audition. However, he gained a huge fan base on the show, as he performed his unique style. He is affectionately known as "JPL" by adoring fans. In 2006, Lewis released "Stories from Hollywood", and in 2008, released a fresh and addicting single, "Break the Silence", produced by Chris Garcia (Santana, Michelle Branch). A few others of the talented helping hands on Silence are executive producer Don Grierson (Heart, Cheap Trick, Duran Duran) drummer Kenny Aronoff (John Mellencamp, Indigo Girls), guitarist Nick Lashley (Alanis Morissette), and even Lewis’ cousin Blake Mills, providing urbane “indie-style” guitar work. Although he hopes to take the MCAT someday, and practice medicine, his fans may not allow him to leave them behind. When he's not performing, he's taking the kind of science classes that strike fear into the rest of us. This page was last edited on 27 September 2010, at 02:20.